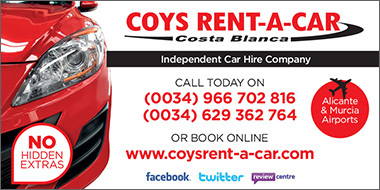 Many visitors to Torrevieja choose to hire a car for their stay and both airports that service the area offer a choice of rental companies. 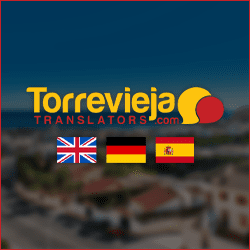 The large international airport of Alicante is around a 40 minute drive from Torrevieja and offers 2 routes into the city, either via the N-332 coastal road or the AP-7 motorway, both taking about the same time. The smaller Murcia-San Javier airport is less than a 30 minute drive and also uses the AP-7 to get to the city but there is a toll fee to pay when exiting the motorway at La Zenia. From La Zenia the remainder of the journey is on the N-332. 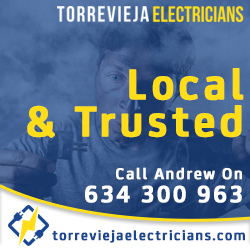 Driving in Torrevieja is relatively easy for some and a nightmare for others and it is always worth the extra expense you may be charged by car hire companies for Satellite Navigation. The city streets are laid out in a grid system with the main roads running through the city parallel to the beach front and the smaller streets running up from the beach front. This makes driving in the city easier although many of the smaller streets are one way and some are dead ends. Write down or memorise a few of the major roads through the city then if you get lost you can keep driving until you reach one of these and regain your bearings. Running parallel to the beach front, the first main road is Calle Ramon y Cajal (beach road) then a few blocks up is Avenida de las Habaneas that runs through the centre of the city and running along the top end of the city is Calle Salinero. Running up from the beach starting near the Burger King is Calle Apolo that goes straight through the city and then becomes Avenida de las Cortes Valencianas that runs through industrial areas and into some of Torrevieja’s residential areas. It is worth noting that many of the street names are not on sign posts but rather on the walls of buildings.